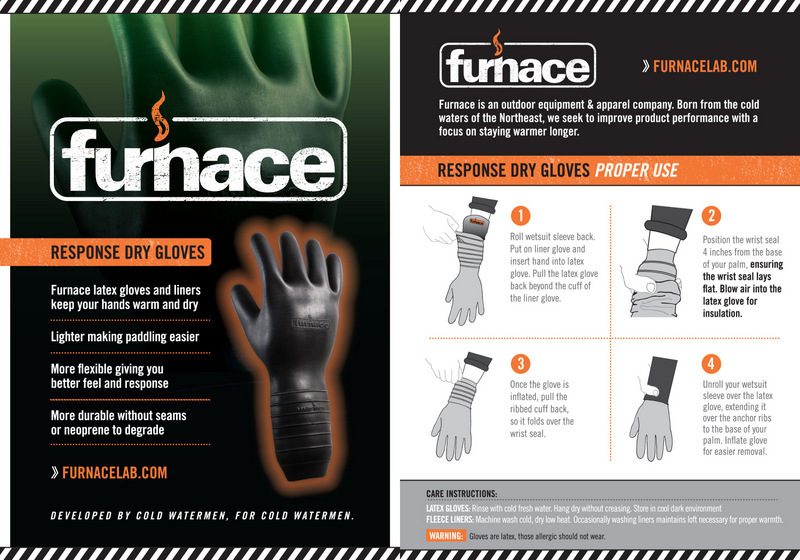 Furnace’s Response Dry Glove system has two pairs of gloves. First, an insulating fleece liner traps air to insulate the hand. A second pair of waterproof latex gloves is pulled over the fleece liners. 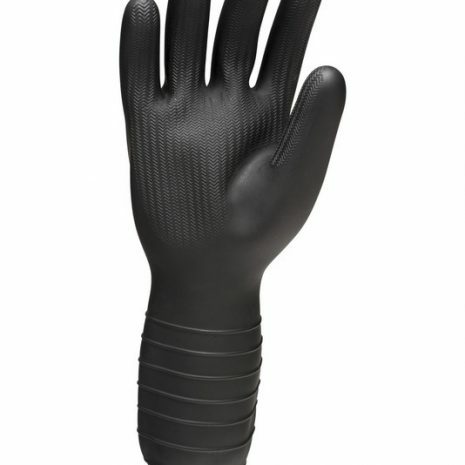 The latex gloves feature a watertight wrist seal that keeps the liners and hands dry. Lastly, the wetsuit sleeve is pulled over the anchor ribs on the cuff of the latex glove. These ribs keep the wetsuit sleeve in place and form a barrier, preventing cold water flushing. Warmer. Dry gloves are warmer than neoprene gloves. 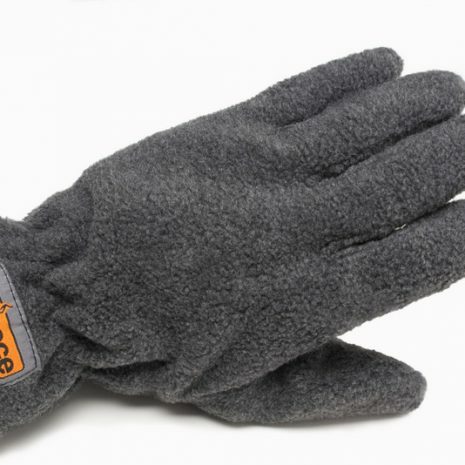 Dry gloves use air, a better insulator than water, to isolate the hand from conductive heat loss. Crazy light. Air is much lighter than water. Glove weight is critical because heavy gloves lead to rapid exhaustion in paddle sports. Responsive. Neoprene is thick and reduces mobility and feel. 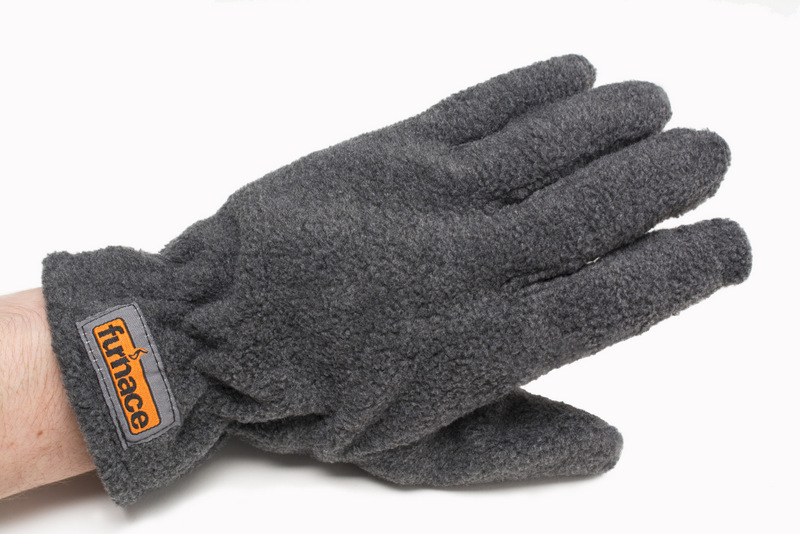 Without sacrificing warmth, the dry gloves feature vastly improved dexterity and control. No-Slip Grip. 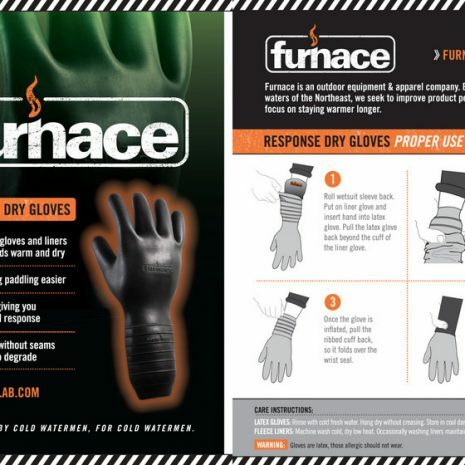 The polyester outer of neoprene gloves have significantly less grip than the rubber of The Response Dry Gloves, a critical benefit in a wet environment. Stronger. Coldwater athletes frequently open and close their hands to adjust equipment, grab their boards or hold a paddle. Repetitive motion and pressure quickly wear neoprene gloves leading to cracking and failure. The Response Dry Gloves typically last twice as long as neoprene gloves.